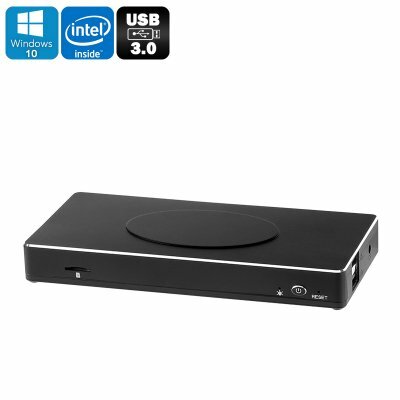 Successfully Added Windows 10 Mini PC APL100 Vbox-Apollo Lake CPU, 6GB RAM, 128GB ROM, USB 3.0, Type C, Wi-Fi to your Shopping Cart. Rocking an Intel Apollo Lake N3455 processor, clocked at 2.2GHz, and with 6GB of RAM, the APL100 Vbox is well equipped for some serious computing. It offers a desktop like performance and thanks to the Gen 9 GPU can handle games and movies respectably as well as graphic intensive software and multitasking.